· One complete book of poetry by Montgomery, "The Watchman and Other Poems"
· Links to download the unabridged audiobooks of all 11 novels for FREE! · Did I mention an unbeatable price? Unfortunately, there are two books in the Anne of Green Gables series which were published later and can't yet be included in this Kindle collection because of copyright restrictions. These are "Anne of Windy Poplars" (1936) and "Anne of Ingleside" (1939). 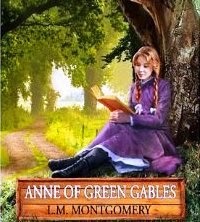 Thanks for checking out my Anne Stories collection. I hope you and your family enjoy these books as much as we have!